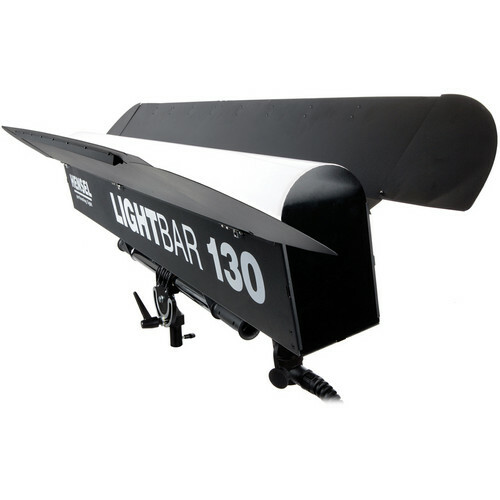 The Hensel Lightbar 130 is a slim, 52" flash head that's ideal for edge-lighting, hair-lighting or placing long, elegant highlights on reflective objects such as glassware. The opal, diffused front face conceals a 3,000W/s flashtube and four 150W modeling lamps. With the built-in barndoors, precise control of the spread of light can be achieved. Several units can be lined up end-to-end with no interruption in the light. The Lightbar 130 is compatible as-is with the Tria power pack, and the Porty and Mini with an optional cable adapter (#5780).